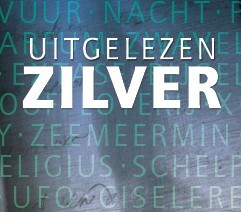 The Uitgelezen zilver (Exquisite silver) exhibition is taking place from 25 October until 3 March 2013. The exhibits mainly comprise silver from the Museum’s own collection, but also include pieces on permanent loan from the King Baudouin Foundation: the owl bearing the hallmark of Antwerp, the Ondine table centrepiece and the van Reynegom ceremonial guild chain. Using some thirty themes, the exhibition shows the importance of silver in daily rituals and customs. It deals with the physical and technological aspects of silver and provides an overview of the various fields in which silver is used. In addition to the purely functional use of silver tableware for instance, numerous other areas where silver plays an important role are also presented, including for religious, economic, medical and symbolic uses. The story of silver is told from A to Z via old and contemporary silver masterpieces.